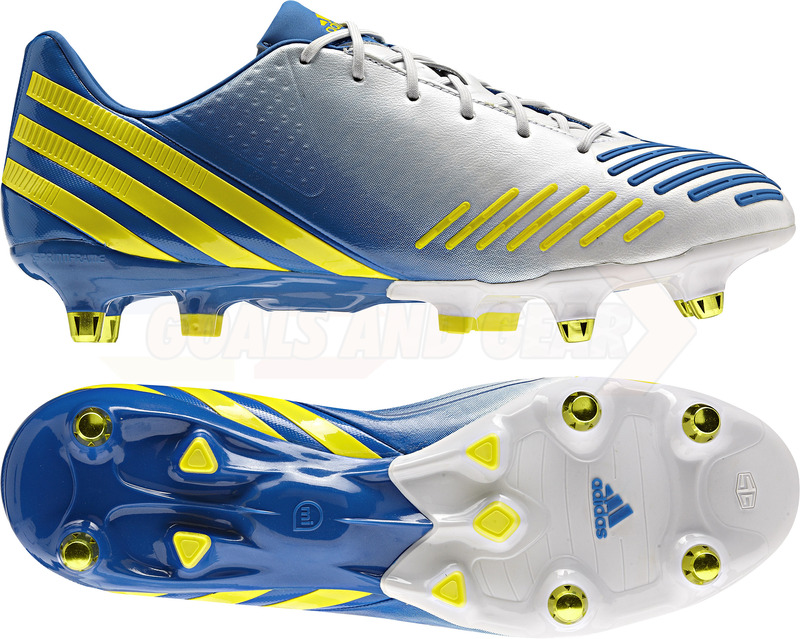 Today sees the official launch of the Adidas Predator LZ running white/vivid yellow/ prime blue colourway, and Goals and Gear have got all of the official images for you! The colourway of this LZ was originally rumoured to be launched as the Champions League colourway of the boot – but was replaced by the black/grey version we’ve already seen. The SG version of the boot features golden yellow studs, which nicely match the Vivid Yellow colourway displayed on two of the zones, and the adidas logo. The instep of the boot really shows off the bright colours of the boot; the boot is extremely visible on pitch, and looks fantastic with white socks, as well as blue ones – allowing the yellow to really pop off! Meanwhile, the FG boot features yellow studs at the front, and white at the back. Personally I prefer the way this soleplate looks, Especially when running, because the white/blue contrast is a bit stronger. 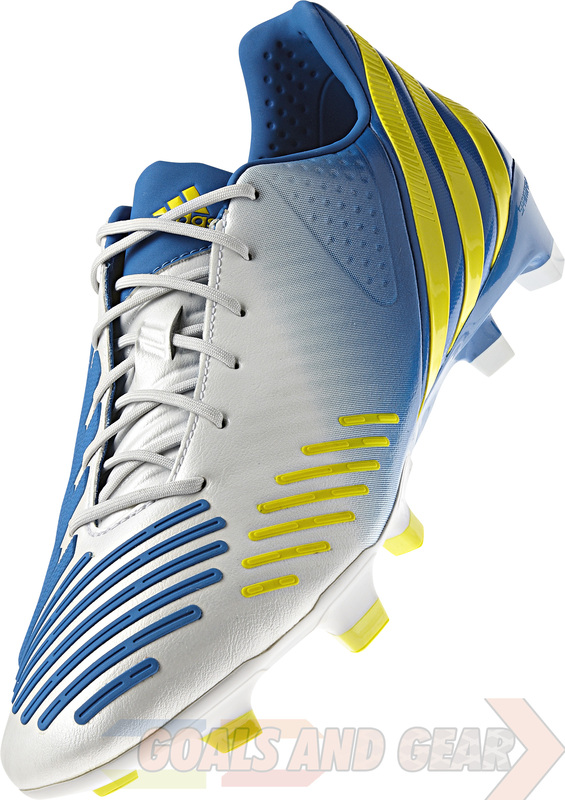 The adidas Predator LZ is the ultimate boot for controlling the game. 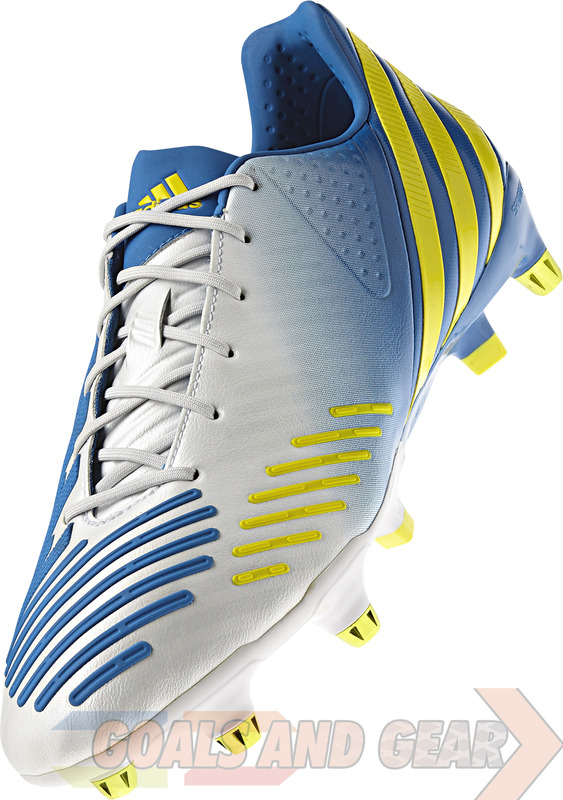 With five deadly zones, the latest Predator positions an arsenal of possibilities at a player’s feet. Five lethal zones, one deadly result: Perfect Ball Control. Coupled with the new distinctive colourway, the Predator LZ gives players the tools they need to take control of the game in style. The embedded miCoach speed cell helps players to take full control over their training. Players can track and upload their performance stats wirelessly to be analysed, shared and used as the basis for online coaching tips. 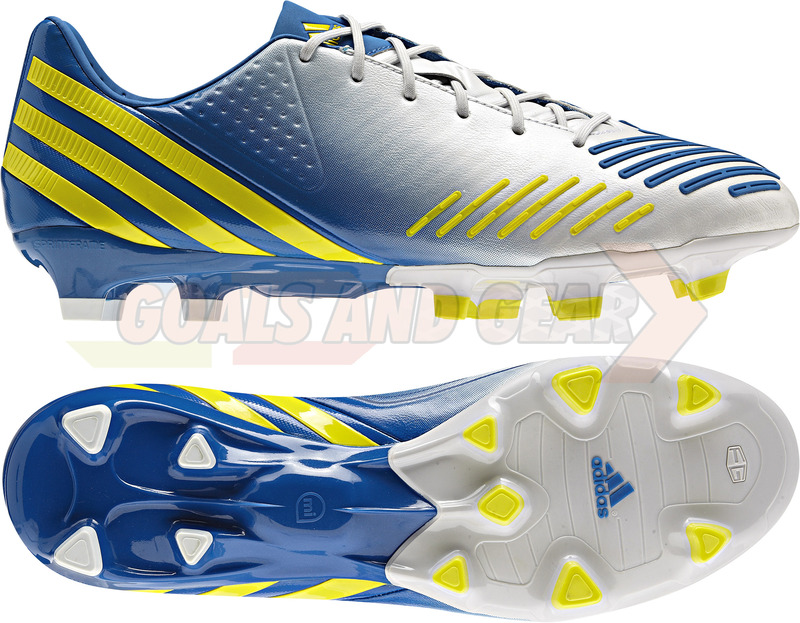 Posted on November 20, 2012, in News and tagged adidas, blue, boots, cleats, football, predator lz, Running White/Vivid Yellow/Prime Blue, soccer, sports, style, white, yellow. Bookmark the permalink. Leave a comment.